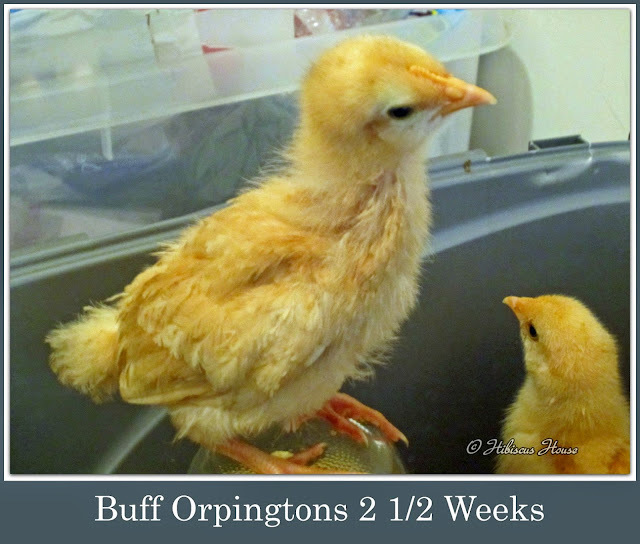 Hibiscus House: We Have Buff Orpingtons! 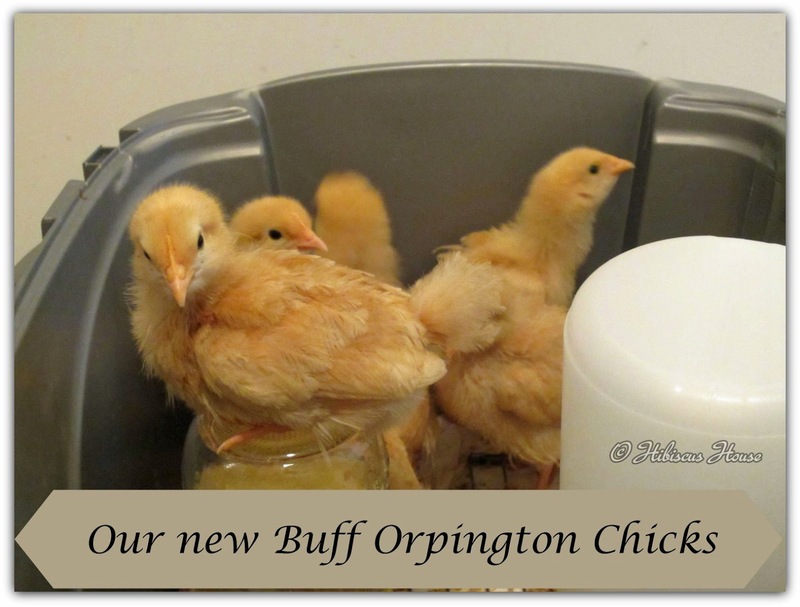 I am so excited that we finally have Buff Orpingtons here at Hibiscus House. This picture shows them at 2 1/2 weeks old. We really lucked up getting them at 2 1/2 weeks. 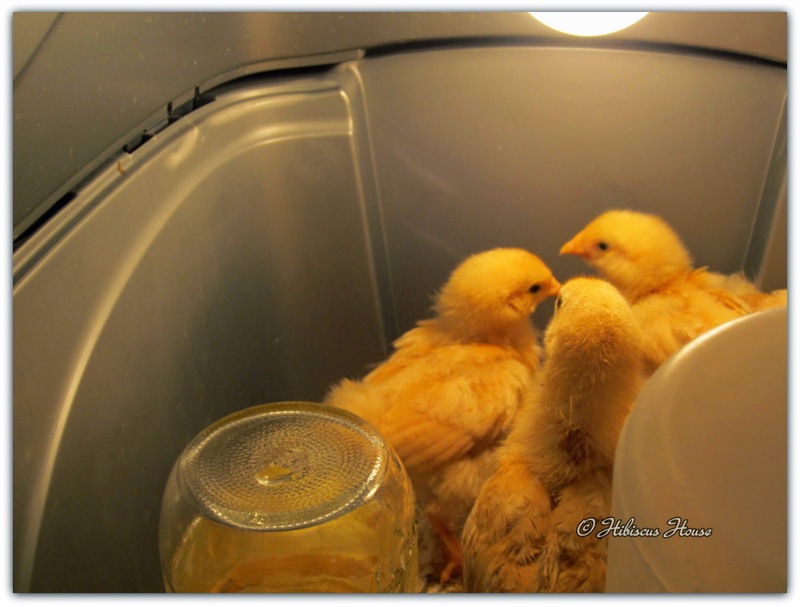 To me that means 2 1/2 weeks less to have under the light in the brooder! Come on inside to see more pictures and video of these beautiful little chicks. The chicks one week later with the boys! 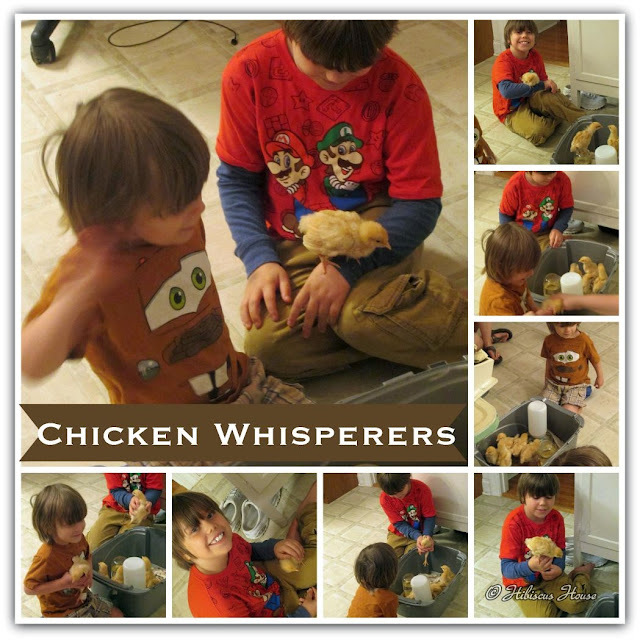 We have two chicken whisperers that love them! 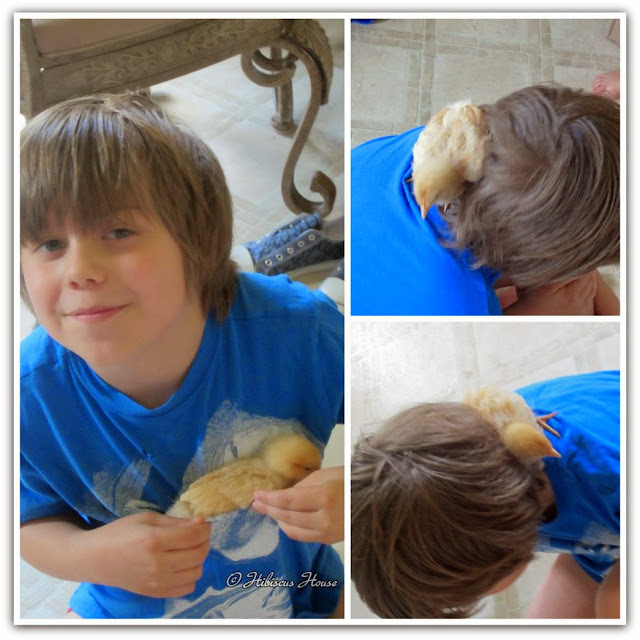 These little chicks right away flew to the boys and were so tame. I was amazed. The boys were too! They wouldn't stay off of these boys and "Little One" was a little more skiddish or so I thought. 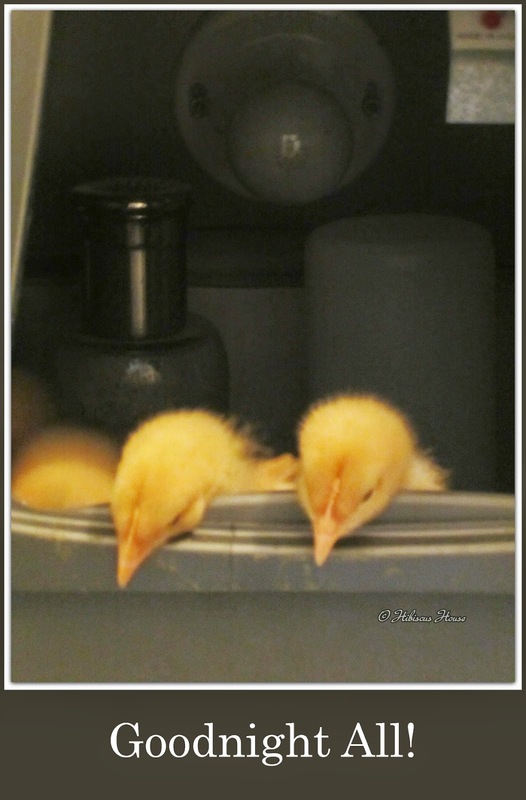 I was wrong he was conducting a circus throwing them onto the sides of the brooder. The chicks enjoyed it and would catch the sides when he would throw them. He didn't hurt them, he was very easy with them. They kept running right back for him to do it again. This chick has found a new home. A little scared but on the floor for the first time. 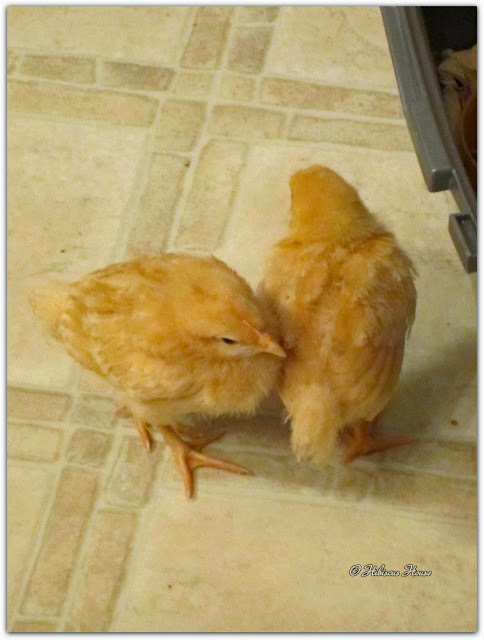 I'm so glad we have these chickens and the other hens here. The taste of farm fresh eggs can't be beat. I love the fact that they are indeed healthier then factory farms. I know they are well cared for and feed better. They can run jump roam scratch and eat free range, truly free range. 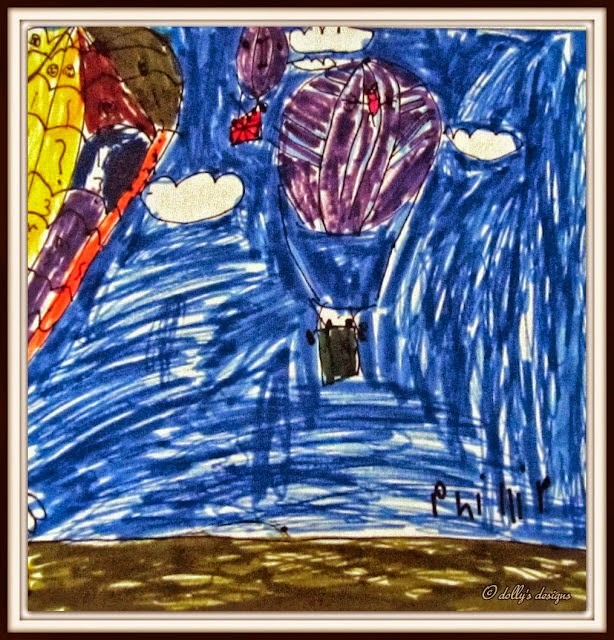 I recommend if you are able to in your neighborhood that you try it. 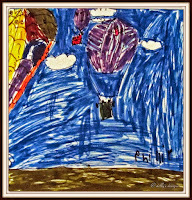 If you can't then try to buy locally because they will be better for you. 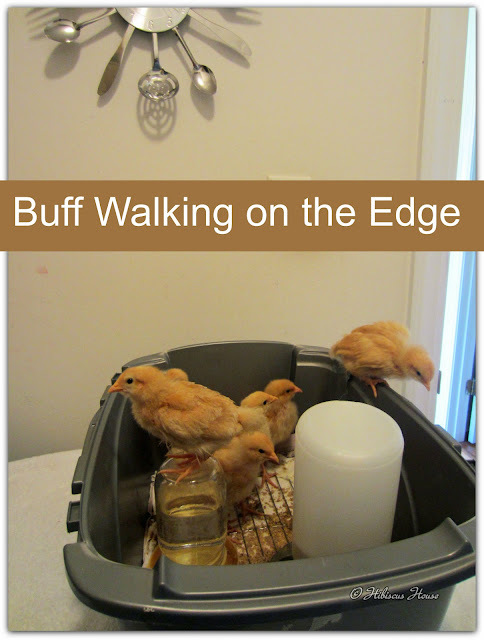 Now I must give you a link to check out because egg prices are going to surge to record highs because of the bird flu...read about it here. Coming Soon showing the chicks in their new home.